GRASS GIS (Geographic Resources Analysis Support System) is a free, open source geographical information system (GIS) specialized in handling raster, topological vector, image processing, and graphic data. GRASS GIS is a high performance analytical GIS and remote sensing with focus on modularity. Users can process both day-to-day data as well as massive time series. GRASS GIS (GRASS) is a user-friendly, powerful, cross-platform Geographic Information System (GIS) application with support for Linux, MacOS X and MS-Windows. News updates are available from the main site. Commonly referred to as GRASS, this is free Geographic Information System (GIS) software used for geospatial data management and analysis, image processing, graphics/maps production, spatial modeling, and visualization. GRASS GIS is currently used in academic and commercial settings around the world, as well as by many governmental agencies and environmental consulting companies. 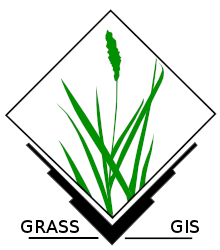 GRASS GIS is an official project of the Open Source Geospatial Foundation (OSGeo) and is licensed under the GNU General Public License.